This post contains affiliate links, which means I get a small commission if you purchase something through the link. I only recommend products and services I myself use and LOVE and think you’ll love too. 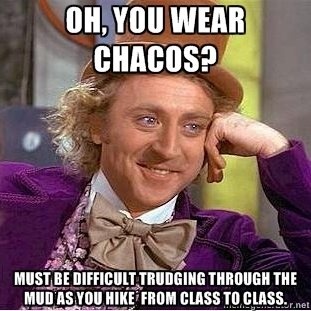 Ah, Chacos. The UGG boots of summertime. I got my first pair on sale at REI some ten years ago or so. They were plain black with the toe loop. I didn’t wear them much at first until I started traveling after college. They were perfect for Bangkok’s rainy season: they were the only shoes that could withstand the downpours and not have me slipping and sliding while walking down the sidewalk. I was a teacher then and even wore them to school – until the school told me I needed to wear nicer shoes :/ haha. 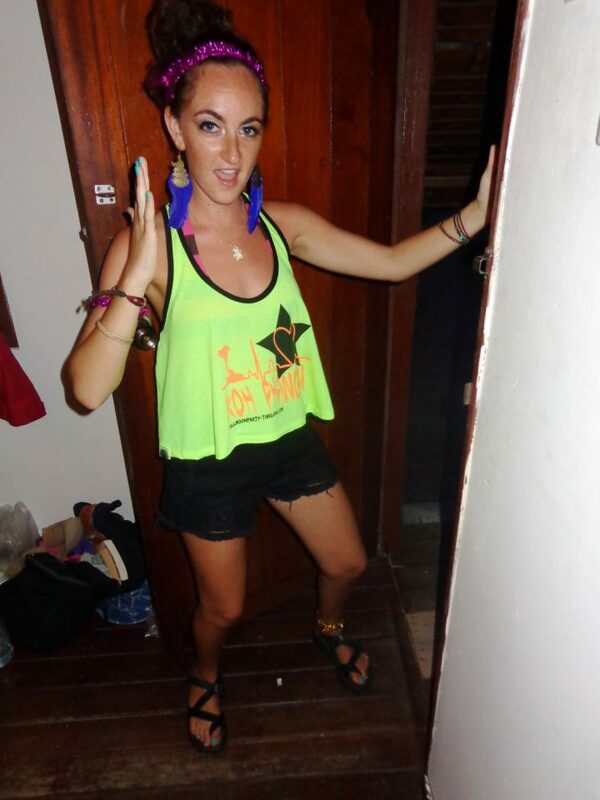 I lost my plain black Chaco sandals at my fourth Full Moon Party after taking them off to dance in the sand. I mourned this loss for a long time. It was only this year, four years later, that I decided to replace my Chacos. That then led me down a long rabbit hole of trying to decide: WHICH ONES SHOULD I BUY?? 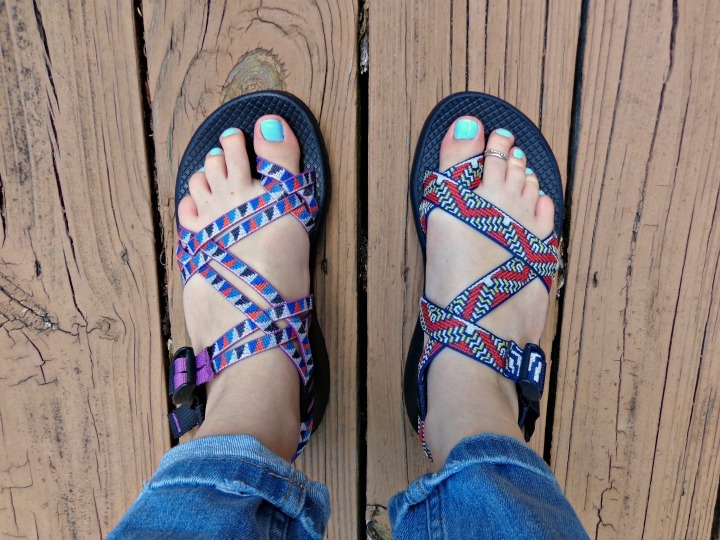 What’s the difference between the different Chaco styles? When you shop for Chacos, one of the first things you’ll notice is there are a million different types of sandals in the Chaco Z collection. What was even the difference between the Classics and the Pros? The Yampas and the Clouds? It’s super confusing. Sometimes Chaco uses letters, sometimes they use numbers, and sometimes they use names of rivers. Knowing that Chaco originally made these sandals for the outdoors and water sports, I knew there had to be important functional differences between all the types of Chacos. I wanted to understand, what are all these weird words, letters, and numbers?? What does the Z mean? 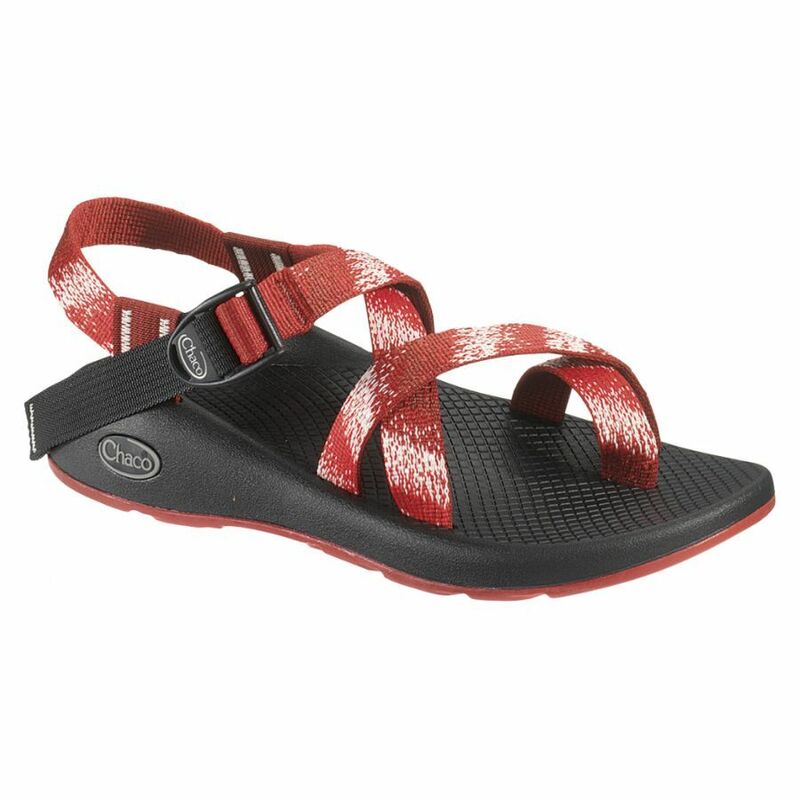 The Z refers to the prototypical Chaco sandal with a colorful strap and rubber bottom. There are different versions of these, but they all fall under the umbrella of the “Z Series”. Chaco carries other shoes, including leather sandals, sandals without ankle straps, and even boots. Those are all different from the Z series sandals. What are the differences between the Chaco Classic vs Cloud? The Classic is, as its name suggests, the classic version of the shoe. It features a very firm footbed with little criss-cross indentations on the surface for grip. The sole of the shoe has deep enough tread for land and water use. The Cloud is essentially the Classic footbed and sole but has a softer layer on top of the Classic footbed (the grey layer in the photo below). The hardness of the Classic footbed can cause irritation or discomfort for some people, so the Cloud is a great alternative. The downside of a softer footbed is that it gets worn out easier. What about the Classic v Yampa v Volv v Pro Chacos? It looks like Chaco is phasing out the Yampa sandal, but you might find some on sale or secondhand. The Yampa is a smoother-looking and lighter sole. I believe the footbed is the same as on the Classic. The Volv is 20% lighter than the Classic sandal. Chaco also says the footbed is softer than the Classic footbed. The footbed has swirly indentations for traction. The outsole is their Ecotread design, as opposed to the classic Chacogrip outsole. 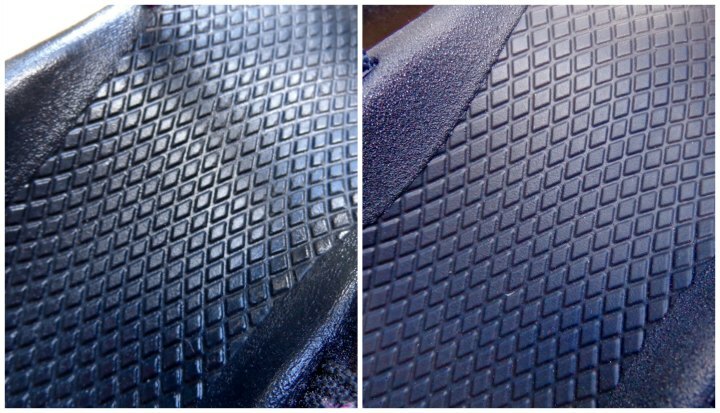 Ecotread is made of 25% recycled rubber. The Pro is another model it looks like they might be phasing out. Chaco says this model was “designed with river guides and whitewater athletes in mind”. I believe it has the same outsole as the Yampa. 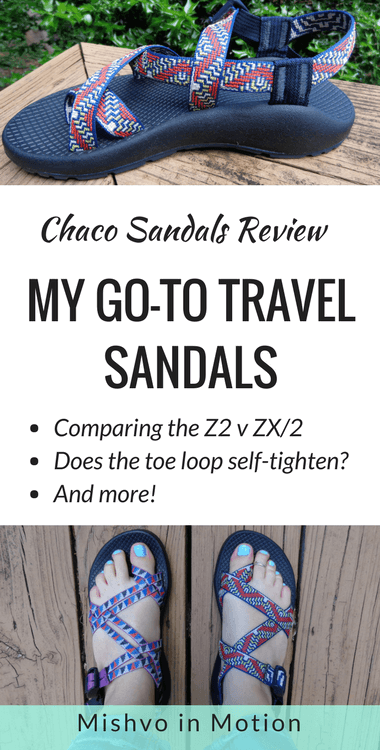 I was clearly curious enough about the different Chaco models to dig into their different features, but even then I had a hard time choosing between the single strapped toe-looped sandal and the double-strapped toe-looped sandal. So I ordered both and put them to the test. I originally planned to keep one pair and return the other after wearing them around the house, but my mom ended up wanting some Chacos after she saw mine and we happen to be the same size so we got to keep and test out both pairs. 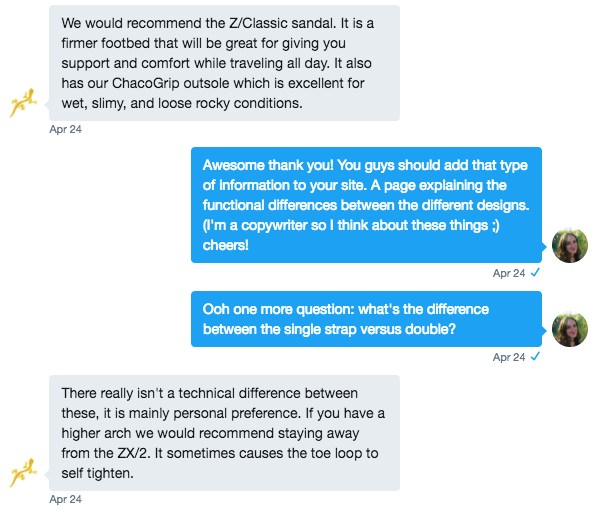 I was able to explore the differences between the Chaco Z/2 and Chaco ZX/2 Classics. I think when most people pick out a pair of Chacos, they aren’t as concerned with the functional differences between the models as they are with the differences in aesthetics. 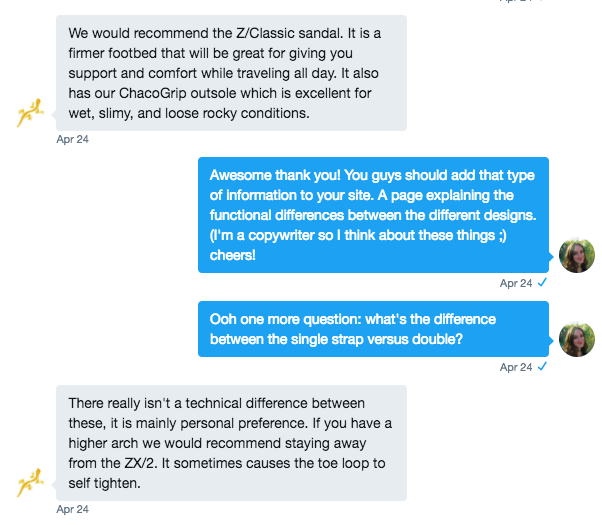 When I asked Chaco on Twitter what the difference was between the Z/2’s and ZX/2’s, they responded that people with high arches should avoid the ZX/2’s and stick with the Z/2’s instead. The toe loop is known to self-tighten in the ZX/2’s on people with high arches. I read the reviews on Amazon for both models and noted that the reviews for the ZX/2’s featured a lot more people complaining of the toe loop self-tightening. None of them mentioned that this self-tightening was due to their arches though (because I don’t think they knew that was the reason). 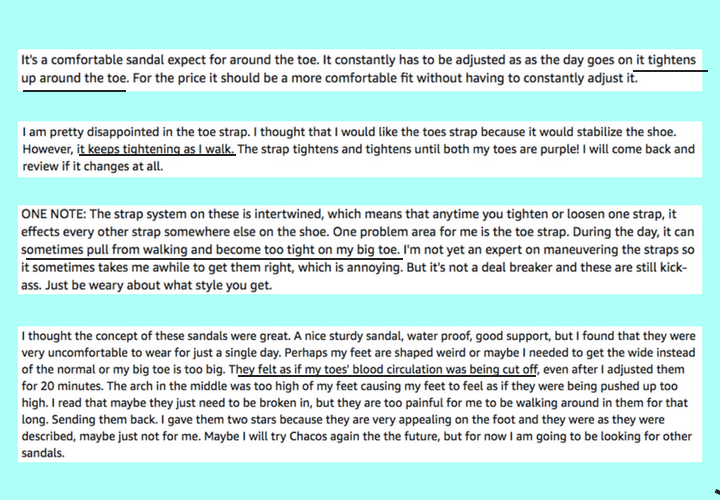 I’ve cherry-picked some Amazon reviews of the ZX/2’s discussing the toe loop self-tightening. You can read the rest of the reviews here. I have a pretty average if not flat-ish arches, and I did notice that one of the double-strapped sandal’s straps around my toe seemed perpetually too tight no matter how many times I loosened it. I also have bunions. I noticed I had to adjust the toe loop over my bunions every time I put on the single strapped sandals. With the double strapped ones, the two straps split over my bunions and I didn’t have to adjust them with my hands, which was nice. I’ve never had the ones without a toe loop before, but I think the toe loop is one of the most useful features of the sandal. It keeps your feet from sliding around within the shoe when walking up or downhill, or when walking in wet conditions. It personally doesn’t bother me at all to have something in between my toes. I guess it’s like wearing flip-flops. 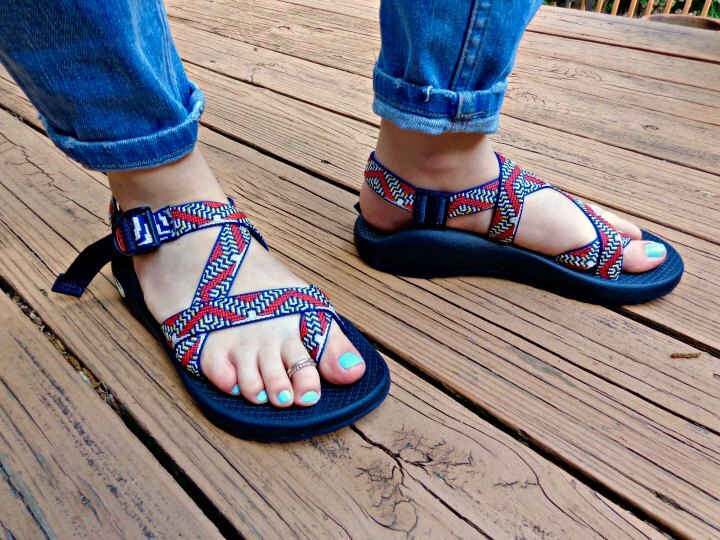 As you may know, the straps on Chaco sandals are actually all one strap. You can pull them to adjust the straps to your feet. It’s a bit of an art trying to get all the strap sections just right, and I definitely found it was more of a challenge with the ZX/2’s. The adjustment instructions say to treat the double straps as if they were one so when I pulled them I always tried to pull them together. But this wasn’t super easy – sometimes one would pull tighter than the other. Kinda like when you pull the strings for the window blinds and you accidentally pull one harder than the other and get crooked blinds. It’s that feeling. Getting the double strapped pair adjusted to my feet wasn’t impossible but it was more difficult than the Z/2’s. And I did notice one of the toe strings seemed to forever be tighter around my toe – although not unbearably so – after walking around a bit and no matter how many times I loosened it. You see this if you look closely at my foot on the right in the above photo, or on my left foot in the photo above that. Either way, in both pairs I ended up with an extra long “tail” dragging on the floor. I didn’t have this problem with my original Chacos because, I think, they were a child’s size. I haven’t figured out how to remedy this yet. Let me know if you have any ideas. All in all, the Z/2 and ZX/2 fit and feel was almost exactly the same for me. Upon close inspection, I noticed some teeny tiny differences that technically shouldn’t be there since both shoes are the “Classic” and the only difference is the 1 versus 2 straps. The Z/2’s were “softer” all over. The footbed had slightly more give and the straps weren’t as rigid as on the ZX/2’s. Also, if you looked closely, you could see that the footbed of the single strapped sandals didn’t have as much of a shine as the footbed of the double-strapped ones. The ZX/2 footbed is on the left and the Z/2 on the right. This to me seemed like possibly a difference in manufacturing plants? I ordered the ZX/2’s from Chaco.com whereas I got the Z/2’s from REI, because REI didn’t have the size I wanted in the double-strapped sandal. Either way, the Z/2’s did feel ever so slightly more comfortable to me because of this. 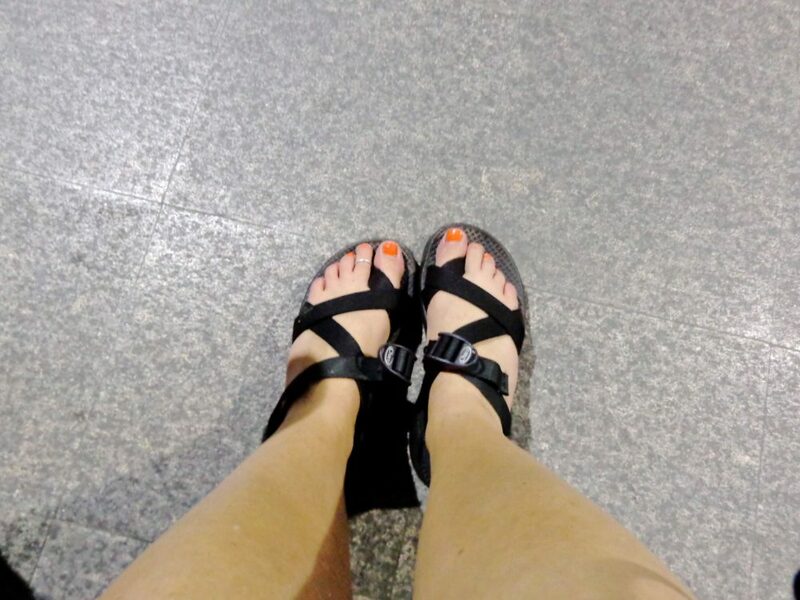 Compare Chaco sandal models: So which one did I pick? In the end, I had to choose one pair and one pair only, and give the other to my mom. Honestly, it was incredibly hard to make this decision. The functional differences between the two models felt so minute to me that I wanted to go with the double-strapped pair just because I preferred it aesthetically. But in the end, I chose to keep the Chaco Z/2’s. As much as I loved the pattern and design of the double straps, the other pair just felt a touch softer and more conforming to my feet. Plus, I didn’t have any issues with adjusting the straps or the weird self-tightening toe loop. I also have this weird feeling that the single strapped version is the original version, so it must be more durable/better. I don’t know, this is just my feeling. In the end, they are truly *so* similar, I probably could’ve gone with either and would’ve been fine. So now we know! Do you wear Chaco sandals? Which model is your favorite? Are Chacos With No Toe Straps Right For Me? Which Chacos are best for hiking? From the pictures it looks like you may actually be wearing too large a size. That is one reason you would have the extra long tail when you tighten them. Size down in wide might be the answer then. You can fold the xtra long tail and stitch them. The store where i bought my pair did it for me. Thank you, all this information was very helpful! I was very confused on Amazon. I just bought the Yampa after reading your information. Thanks so much! This was just the review I was looking for. I got my first pair (Z2) 13 years ago, I replaced them with the ZX2s but when those got destroyed I went back to the Z2s and they unfortunately got misplaced recently so i’m shopping for replacements and couldn’t decide on which ones to get. But now that you pointed it out I do remember the zx2s tightening so I think i’ll be sticking with the good ole Z2s! An REI salesperson told me that you can send your Chacos in to have the long strap trimmed for about $12. He also said that the longer strap happens with thinner feet (actually that’s not the word he used, but I can’t remember what his exact words). That’s what happened to my and my daughter’s Chacos too since both of us have kinda thin and narrow feet. 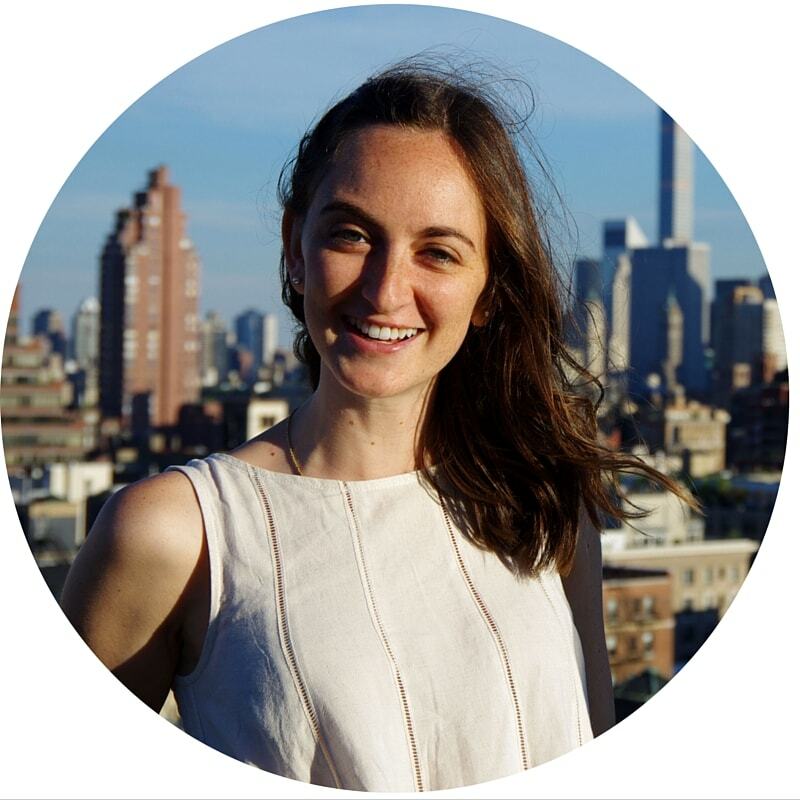 Hi Neshama, that’s SO good to know about getting the strap shortened – I had no idea! And this makes sense since I have pretty narrow feet I think. I just tuck the tail up into the ankle strap. At the end of the tail there is a fold, and the fold sits perfectly on the ankle strap and stays secure. This way I can still adjust the straps if I need to in the future, but it’s tucked away while I’m wearing them! This was such a detailed and helpful article!! Definitely explained why the toe loop kept tightening on my ZX/2 sandals! I still love the two strap look though, so I’ll just deal with loosening them, hah. My Chacos broke (under warranty! ), so I’m currently deciding between getting a pair of ZX/2 Classic versus the Cloud. I’ve heard the Cloud series is super comfortable, but your comment about durability also is a strong consideration, since I wear my Chacos everywhere, including hiking, traveling, and day-to-day activities. Thanks for the helpful information and detailed review of the ZX/2 vs. Z2! Thank you – I’m so glad you found this post useful! And I totally get it – the double straps are super cute. Worth it if you can handle a little toe pinching. Good luck deciding on the Classic versus Cloud. I stuck with the Classic for durability but comfort is important too. To be clear, are you saying that the single strap version does NOT tighten up on the toe? Also, I do not wear thongs because I find them uncomfortable between my toes, so I’m tempted to avoid the toe strap versions altogether. 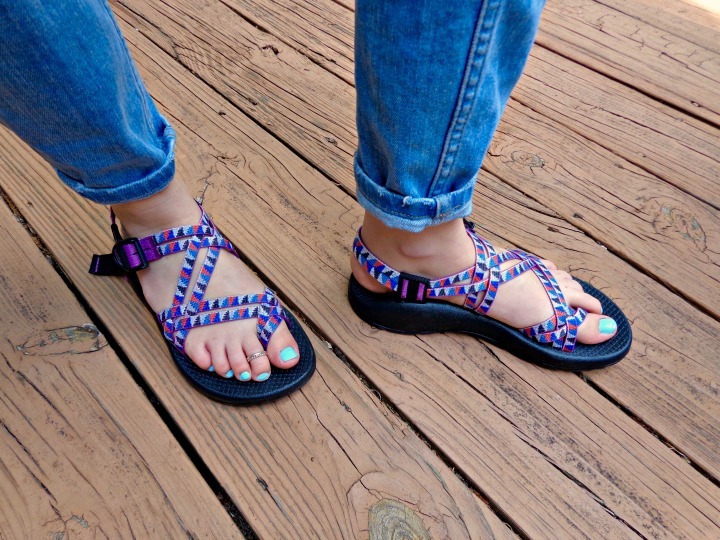 Have you ever tried any of the Chacos that have nothing between the toes? Correct, I find the single strap one does not tighten on the toe as I wear them. I’ve never had a probem wearing thongs but I imagine it would be a similar sensation wearing the toe strap version so sounds wise of you to avoid them! 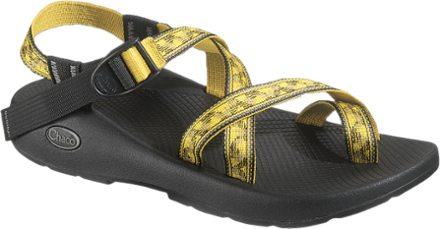 I haven’t tried the Chacos without the toe strap – I find the toe strap is super integral to the functionality of the shoe. I use Chacos for walking in wet conditions and hiking; without the toe strap I think my foot would slide around too much in the shoe to make them sturdy. Hope that helps!